Using energy consumption as a measure, a team of international scientists has found that ancient civilizations engaged in globalization more than previously believed, suggesting that an integrated global economy is nothing new and may have benefited societies for ages. This archaeological research is the first of its kind, because instead of focusing on specific regions or cultures, it used radiocarbon dating to examine human societies on a broader and longer-term scale. 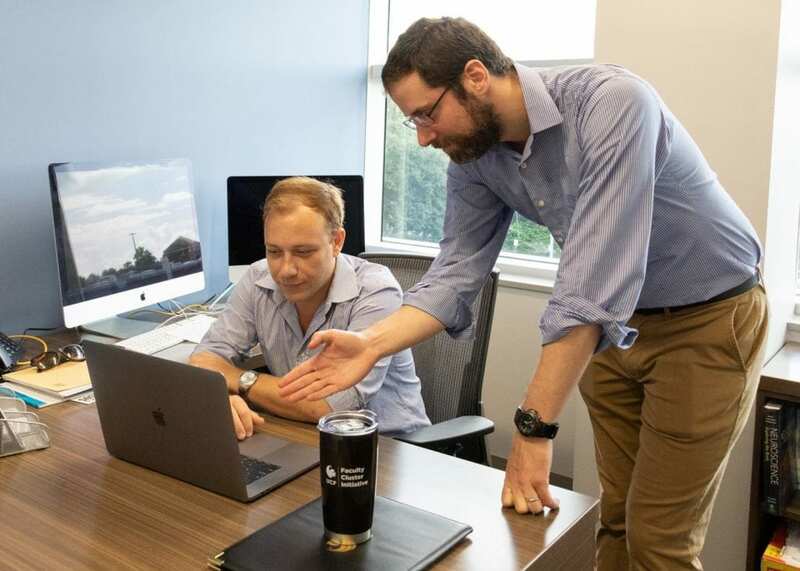 The findings are the result of a study co-authored by Jacopo A. Baggio, an assistant professor in the University of Central Florida political science department, and published today in the journal Proceedings of the National Academy of Sciences. The researchers found that societies often experienced booms and busts simultaneously, a process known as synchrony. They used radiocarbon dating and historical records to measure energy consumption through a period of history ranging from about 10,000 to 400 years ago, a time frame that encompasses a large portion of the current Holocene era. The greater the energy consumption, the more likely a society was booming with population and political and economic activity. Some of the areas examined included the western United States the British Isles, Australia and northern Chile. The radiocarbon dates came from preserved organic items such as seeds, animal bones and burned wood from ancient trash deposits at these sites. Radiocarbon dating measures the radioactive decay of the atom carbon-14 from organic matter to find the organic matter's age. The researchers' findings suggest that early globalization was possibly a strategy for societies to grow through migration, trade and conflict with other, distant societies when a society's carrying capacity began to be overloaded. Baggio, who is also a member of UCF's National Center for Integrated Coastal Research and the Sustainable Coastal System research cluster, said it is especially important to study societies' resilience, or ability to recover from a disaster, over the long term, and radiocarbon dating is a useful tool for this assessment. "Resilience is intrinsically dynamic," Baggio said. "So, it becomes very hard to understand resilience in a short time span. Here we have the opportunity to look at these longer trends and really see how society has reacted and adapted and what were the booms and busts of these societies. Hopefully this can teach some lessons to be learned for modern day society." The researcher said the rise and fall of societies seems to be an inherent part of civilization. "Our data stop at 400 years ago, and there has been a huge change from organic economies to fossil fuel economies," Baggio said. "However, similar synchronization trends continue today even more given the interdependencies of our societies." Freeman said the new study suggests the process of societies creating connections and becoming interdependent, known as globalization, also played out among human society millennia ago. "If every culture was unique, you would expect to see no synchrony, or harmony, across human records of energy consumption," Freeman said. Robinson said it is important to look at not only cultures at specific times, but also over the long term. "We must move back and forth between different spatial and temporal scales in order to understand the whole picture," Robinson said. "When we take a broader perspective, we are still interdependent on others, no matter our cultural differences,"
Although interconnectedness has advantages for societies, there can be downfalls as well, Robinson said. "The more tightly connected and interdependent we become, the more vulnerable we are to a major social or ecological crisis in another country spreading to our country," he said. 'The more we are synced, the more we put all our eggs in one basket, the less adaptive to unforeseen changes we become." "The financial crisis of 2007 to 2008 is a good recent example," Robinson said. Authors of the study also included David A. Byers and Judson Byrd Finley of Utah State University; Eugenia Gayo of the Center for Climate and Resilience Research and Center of Applied Ecology and Sustainability in Santiago, Chile; Jack A. Meyer of the Far Western Anthropological Research Group Inc.; Robert Kelly of the University of Wyoming; and John M. Anderies of Arizona State University. The work was produced as part of PEOPLE 3000, an ongoing study of the long-term growth and synchronous collapse of human societies by an international team of scholars, including archaeologists and sustainability scientists in North and South America. Baggio received his master's in development economics and doctorate in international development from the University of East Anglia. Before starting at UCF this year, he worked for three years as an assistant professor at Utah State University and for nearly four years as a postdoctoral student at Arizona State University.